List view: to create a shift simply click on the 'plus' icon in the desired day. A window will open with information concerning the shift. After clicking 'create' the shift will be shown in the schedule. 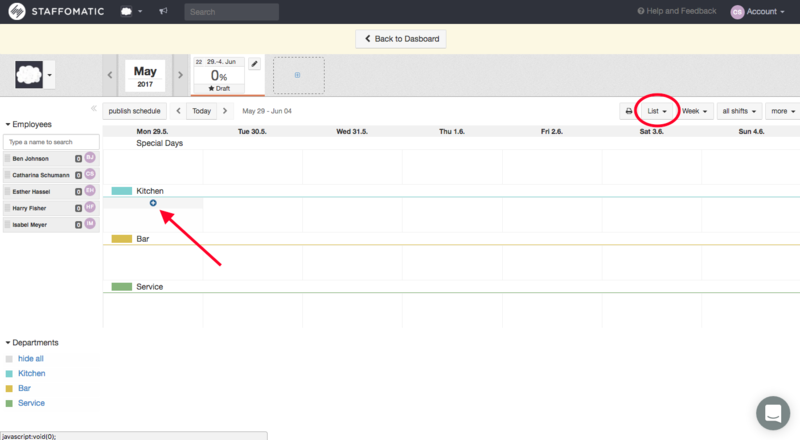 Calender view: here you can draw a shift with the cursor into the desired date and timeframe. The same window will open to povide the shift details. 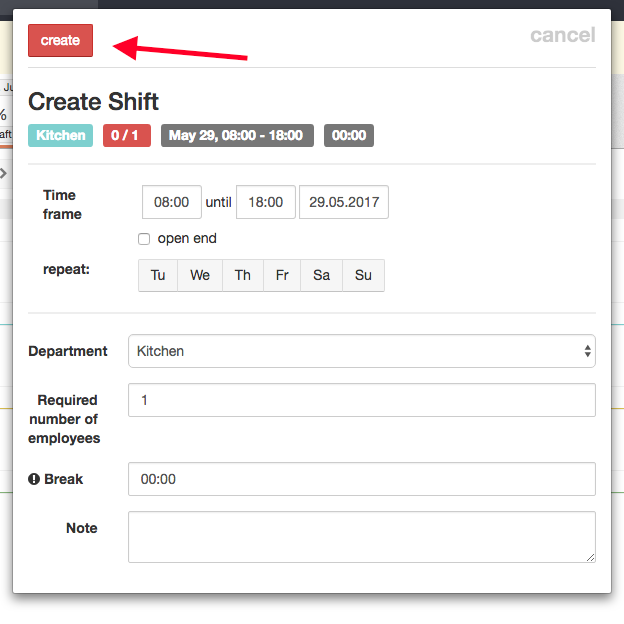 Save the new shift by clicking 'create'.